If you are an expectant parent, or are planning a pregnancy, you are invited to become a supporting member to help advance our cause of better birth for all women in Maryland. Membership is not required to participate in our educational and informational events; however, your support helps us continue to provide free events for growing families. If you find our group helpful, have enjoyed coming to one of our events, or just want to help spread the word about Mother-Friendly Childbirth, please consider joining and telling your friends! This level of membership is for community members interested in supporting the mission of MBN and attending MBN events, but who do not wish to advertise a business or service. Resources to support mother-friendly care. Becoming a part of a growing movement to improve maternity care in your community. Email invitations to all MBN events and activities. Discounted admission to MBN events, trainings and workshops. Coupons, discounts, and promotions from local businesses and MBN members. 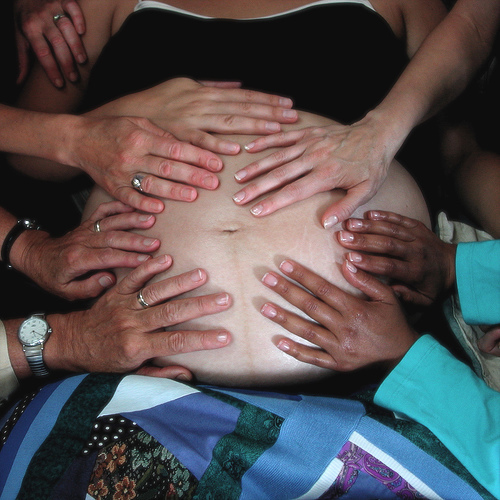 Join the Maryland Birth Network as we work to improve maternity care. We depend on memberships and the hard work of our volunteers to fulfill our mission. Our membership is valuable for anyone who is interested in increasing options for positive birth experience. We will list your contact information on this website and on our printed provider guide that we distribute throughout the state. This year we will distribute no less that 2,000 guides into the hands of expectant families. Speaking opportunities connected to your area of expertise as it relates to mother-friendly care at a MBN event. Listing of your scheduled classes and events on our online events calendar and on our Facebook calendar. Do you work with women during their childbearing years, pregnant women or newborn babies? Do you provide Mother-Friendly care? Will you help support them in their decisions? Do you want to help inform the public and make changes in the healthcare system? Would you like to have other like-minded professionals whom you know to refer your patients? For professionals, our goal is to generate and sustain an atmosphere of congeniality, respect, and mutual support and to provide opportunities for networking and professional development. This level of membership is designed for the professional who offers services in birth and childbearing related fields. 1.Endorse the CIMS Mother-Friendly Childbirth Initiative; as it is our standard. 3.Pay membership fee of your choice, via paypal . 4.Email us to let us know you have joined. This will speed up the process of getting your services listed. Please allow up to two weeks to be posted.